Halloween Magic Act 2…Free Donuts! Just popping in with something real quick. Once again EA has made it even easier to earn free donuts for Act 2 of this event! So for every 10,000 you collect after finishing the questline, you’ll have a chance for 1, 2 or 3 donuts! BTW….Can you Spot EA’s Typo? Remember, to trigger the bonus round you’ll need to complete the Act 2 questline. Turbo Tapping version can be found here. Pretty sweet change in my opinion! No tricks here, this is definitely a treat this Halloween! 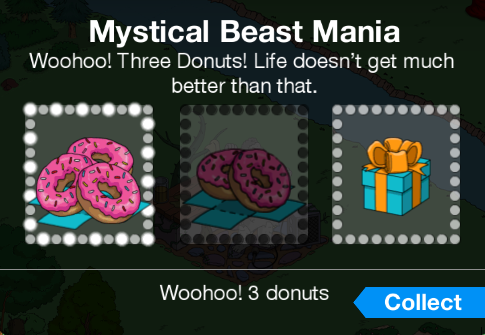 This entry was posted in Donuts, Game News and tagged act 2 free donuts, Free Donuts in TSTO, Free Donuts TSTO, Halloween Free donuts, How do I get free donuts, Magical Halloween, Tapped Out Halloween 2017, tapped out premium currency, Tapped Out Tips and Tricks, The Simpsons Tapped Out, THOH 2017, TSTO Addicts, TSTO Halloween Event, TSTO Magic Event, TSTO Tips and Tricks. Bookmark the permalink. Safi, thanks for all of your excellent posts. 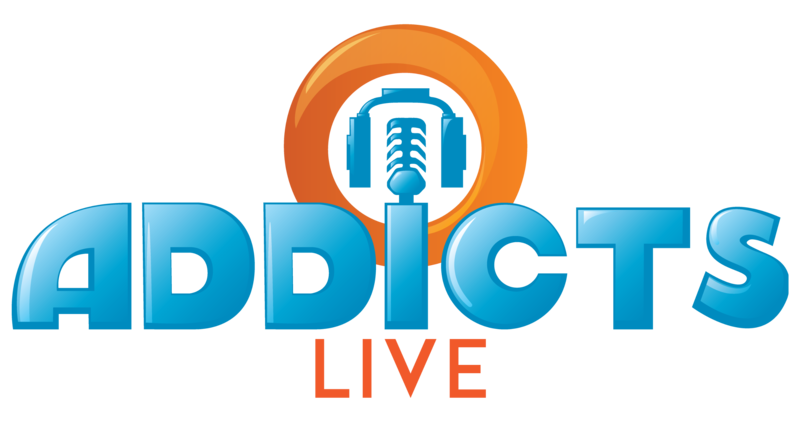 You are a great and nicely complimentary addition to the Addicts team. I really appreciate how the balance exists amongst the talents of each of you AND the complimentary styles of humor each of you offers; the chemistry of the sense of humor among all five of you is great and infectious. Okay, here’s my question. Would you please break down the deal with the magical scratcher? Initially it was a glitched mess, then they got it working (after eating my first attempted purchase.) I made one purchase in Act 1 and since then it has said in adjacent text that it’s no longer available. I never bought event scratchers in other events, so perhaps this is routine, but maybe one event scratcher per Act would make more sense? Or is it consistently an option of such ephemeral nature? It’s unlikely that we’ll cover it, I know a few people have asked about it. It’s kind of one of those things that if you want to take a chance on it go for it. I’m kind of happy that all is less than a grind for 3am tappers that don’t live in the USA! I can pop in & out of my 2 towns & not lose too much sleep! Thank You EA! I already had most of the craftable stuff already; So the slight lack of craft currency this event is of no big concern to me. Though; Having typed that; I do wish they’d have put more thought into craftables! (I’d love a Hagrid type round wooden hut!) Maybe a few wooden turrets to add to it? I’m no programmer; But it could be a variation of the pink valentine gazebos or the white band gazebos? Maybe 2 storeys tall to make it something different? JMHO! Has anyone experienced a very strange glitch after buying the SVP + 120 donuts bundle (for those that could buy it)? I don’t want to go into too many details right now, but it is a VERY positive glitch (NOT the monorail) and if it is happening to you, you definitely know it. Also, I had to report it to EA so that I had a paper trail in case they came back at me, said I was cheating, and shut my account down even though it is something I can’t control. you must have a kindle fire. it IS a glitch, so just enjoy riding the gravy train while it lasts. I’m sure this has been mentioned in comments throughout the event, but I haven’t been reading them a lot. (Shameful, I know.) I have unlimited crafting for the Monorail, which means I can earn 5 donuts every 1-2 days, depending on how diligent I am being. I’m not the only one who’s doing this, right? I feel so out of the loop (monorail loop, that is) because I’ve been absent from the site for a while. hey neighboreeno, yeah the monorail was changed for everyone just prior to this event, when they made the magic monorail station available to purchase. 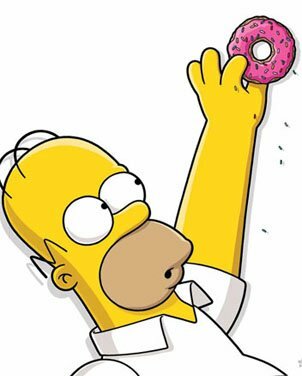 Compared to Homerpalooza where you had to at least have unlocked he fourth prize in each act to get the donuts, this time you only need to be on level 3 crafting and have the Dormitory Tower to finish the questline and start unlocking donuts. The Homerpalooza was actually more generous for frequent/premium tappers. In this event, you need to earn nearly 50% of the total required event currency in order to earn a bonut round. In the prior event, it was more like 8% so even a later-start gave the frequent tapper more bonuts. For people who finished the acts in time to get the final prize, you’d have at least 3 bonut rounds. As a farm-ium player, each of those acts in Homerpalooza yielded 8-10 bonut rounds. In this one… you’d barely have 2 and very unlikely to get a 3rd bonut round. I agree Homerpalooza was more generous with donuts than this event since I got about 5 or 6 bonut rounds in Act 3 and I only had 1 premium character for the whole event. With this event, I only got 2 bonut rounds in Act 1 but could of got 3 if I logged in more often. Not actually a typo, one can spell it either way. So the same as act 1 then, except it’s now 10,000 thingys to collect. On another note, my inventory is rapidly filling up with Troll decorations! 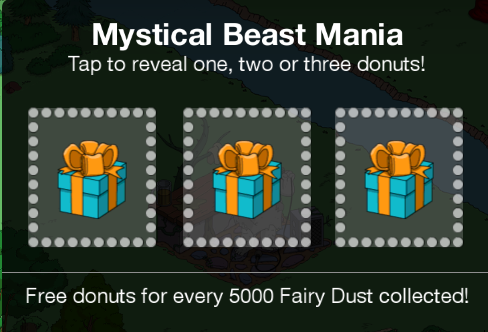 Free donuts for ever 5000 Fairy Dust collected! When you have to collect 10000. I was not too surprised with the amount, disappointed though since there are so little characters that collect currency. Looks like we’re forced to buy some of the premium monsters to tame or else be finished early/bored. Still miss sending the kids out trick-or-treatin’ with their cute costumes. That should have been also part of the event, that is what halloween is about after all! They didn’t even have to earn event currency, just have that task! There are more ways to skin a bonut. Exactly, EA are taking the …. The typo jumped out at me. There is inconsistent capitalization of the word donuts in the dialog boxes. In some cases it is inexplicably capitalized and other times not. Those pop-ups are a true disgrace to the grammarians of TSTO Addicts. Grammarian here! The lack of a coma after the two, is, unfortunately, not incorrect; whether to use an Oxford comma is a style decision. That said, I am firmly, if not militantly, in the pro Oxford comma camp. I have never heard a good argument for NOT using that coma, but I’ve heard many good ones FOR using it. As you’ve probably noticed from all my posts and comments, I am firmly pro-Oxford comma! Homer and Marge, Kirk and Louann, Ned and Maude, Ned and Rachel, Ned and Edna, Clancy and Sarah, Apu and Manjula and Tim and Helen. 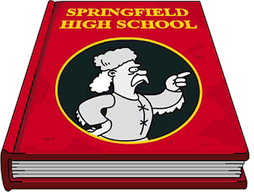 Homer and Marge, Kirk and Louann, Ned and Maude, Ned and Rachel, Ned and Edna, Clancy and Sarah, Apu and Manjula, and Tim and Helen. How do I know if Apu and Manjula and Tim and Helen are two pairs or one foursome without my beloved Oxford comma? The act 2 quest line was so fast… I hit the bonuts this morning!!! It’s making the last Halloween event look absolutely fabulous by comparison.